Giovanni Fachinetti was born in Bologna in 1519 to a family of modest means. He received a doctorate in law there in 1544. He was twenty-five years of age. 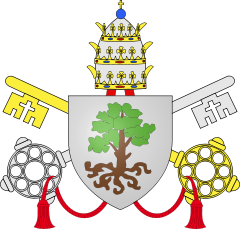 Fachinetti then joined the staff of Cardinal Farnese, the future Pope Paul III, in Rome. The Cardinal sent him as a representative to Avignon where he spent fours years followed by work for him in Parma. 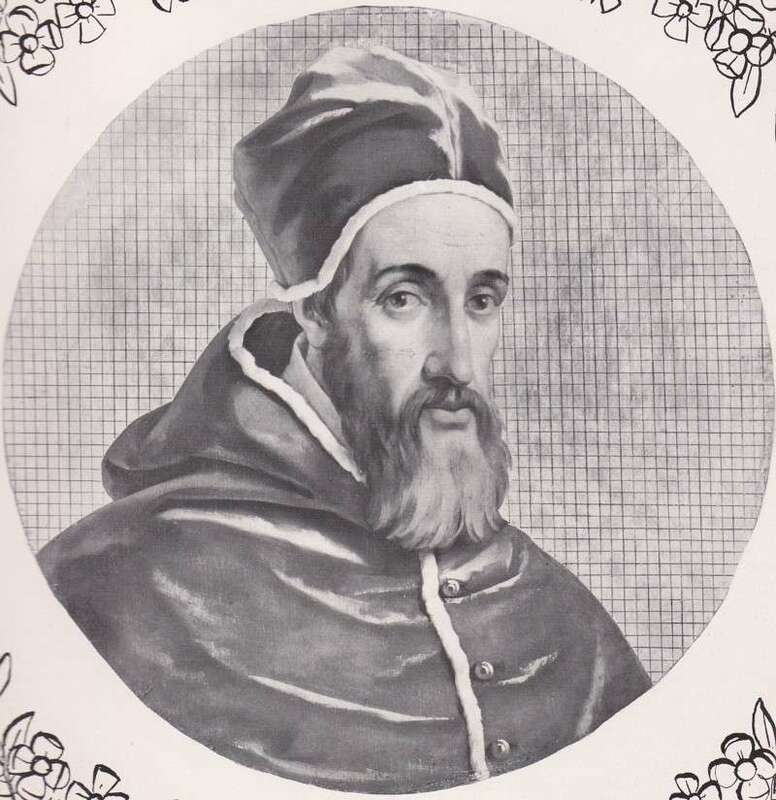 Future appointments for Fachinetti came from Pius IV who made him the Bishop of Calabria in 1560. He was the first bishop to reside in the diocese and did so for thirty years. Bishop Fachinetti took an active role in the final sessions of the Council of Trent. Later, under Pius V and Gregory XIII, he was nuncio in Venice, negotiating with the anti-Turkish League which resulted in the naval triumph at Lepanto in 1571. This victory virtually ended Turkish control in the Mediterranean as well as highlighting the political acumen of the nuncio. Because of his failing health he returned to Rome. There Gregory XIII appointed him to several responsible positions in the curia and in the Inquisition. He also named him Patriarch of Jerusalem. 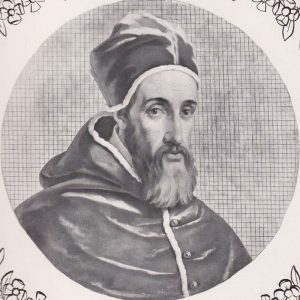 In 1583, when he was sixty-four years of age, Gregory XIII named him a cardinal priest. 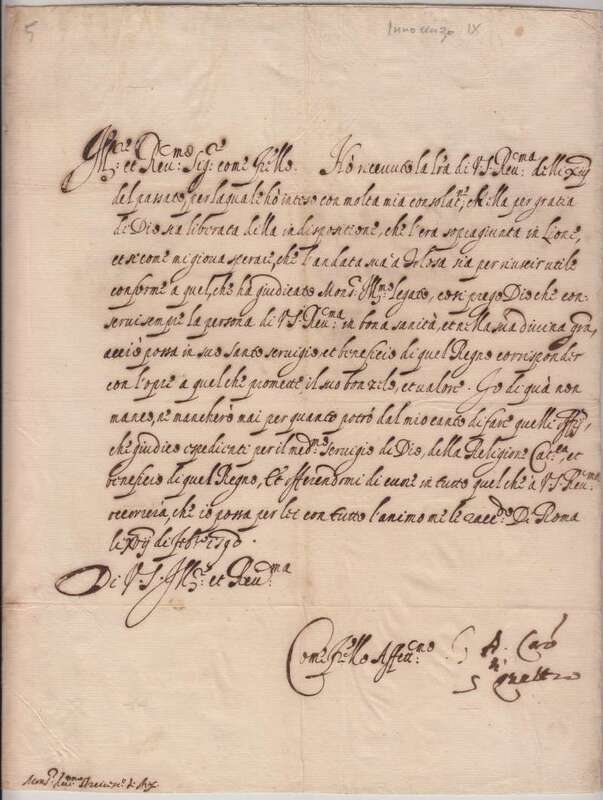 It came as no surprise that he was elected pope in October of 1591. He had been a leading candidate in other conclaves. 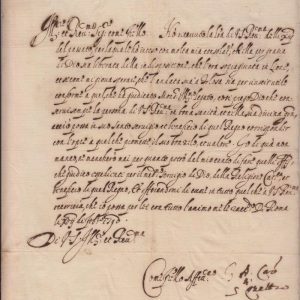 He also was favored by the Spanish King Philip and would give the Spanish some breathing room to orchestrate further “pro Spanish” policies in France. 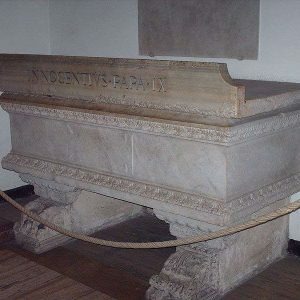 Pope Innocent IX died within two months of his election. In that short space of time he had divided the work of the secretariat of state into three sections: one for France and Poland; one for Italy and Spain; and one for Germany. Additionally he had taken steps to repress banditry around Rome and oversaw the improvement of sanitary conditions there. This pope was a scholar in his own right and had written on several topics, including Aristotle’s Politics. Unfortunately, his works were never published. Innocent IX insisted on making a pilgrimage to the seven churches in Rome. Already ill, he died within a few days of the pilgrimage ending one of the shortest pontificates on record. He was seventy-two years of age. His papacy lasted for two short months but his work for the Church spanned nearly five decades. 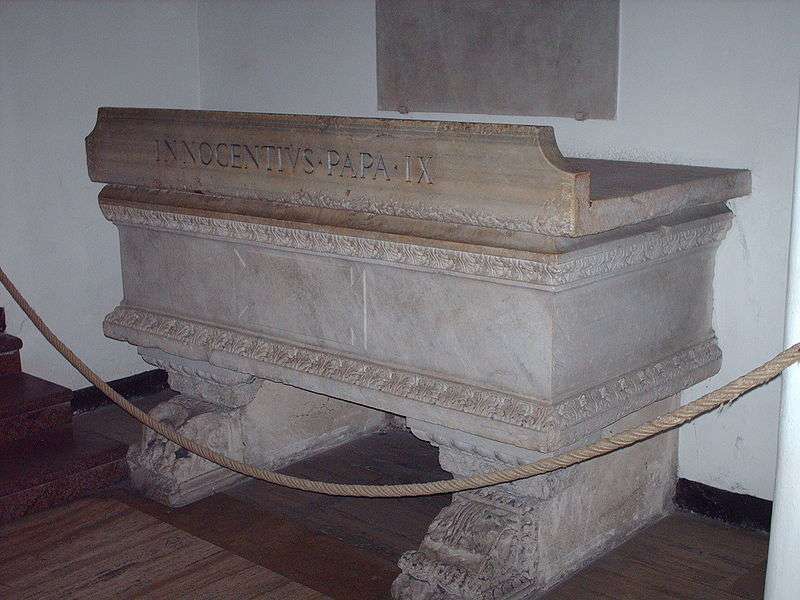 He was buried in St. Peter’s Basilica in Rome.